Thinking Spring? Stop In And Check Out Some New 2018 Flooring Products! Your floors are an important part of any home improvement project. They can help open up your space and complement the rest of your design. You want floors that your family can enjoy for years to come. Turn to D & D Carpets of Rome to find flooring materials designed to fit your needs and aesthetic. We work with reputable distributors, including Shaw Floors, Kraus Flooring and Mohawk Flooring. You can depend on us to install a high-quality, long-lasting floor that your guests will gush over and your family will love. Don’t let your old floors throw off the look of your new interior design. Call us today at 315-337-2430 for a free estimate on materials and installation. Talk to us today to learn more about our product selection. 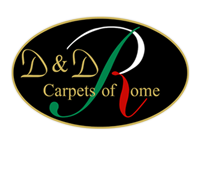 D & D Carpets of Rome doesn’t just offer you carpets and flooring. We also sell every type of furniture you may need to furnish your home, including tables, beds, night stands, chairs and couches, through our service partner, Acme Furniture. You can complete any home renovation using furniture you’ll find through us. Reach out today to find the perfect furniture items for your home.